Tina has 20 years experience in business management including HRM. She holds a Certificate IV in Human Resource Management. I'd just placed dinner on the table. The family were gathering around the dining table. My two oldest boys were squabbling over who was going to sit next to who. Their voices rising in crescendo as they began to fight over one of the chairs. My youngest was monopolising her father's time, refusing to come to the table at all. The pull of a new episode of Ben10 Omniverse gripping her attention and causing her reluctance to join the others for their evening meal. As my bottom began to descend toward the seat at the far end of the table, the telephone began to ring. It had an annoying shrill tone that filled the house. "Not Granddad again?" I half said to myself. My voice held some slight annoyance as I looked up toward my husband. He seemed oblivious to the phone's bleating while reasoning with our youngest. It was time to pause her favourite television show, and to come take her seat at the table. Dinner was an important time for the family . I'd already spent over an hour talking to my father earlier that day. He lived alone. And while I usually refused to answer any calls during meal times, for once I couldn't ignore it. My chair scrapped back. My bottom rose as I gave a well deserved stare to my oldest who seemed to be teasing his youngest brother about some girl at school. By the fourth ring, I was making strides towards the handset, my hand reaching out to pluck it from its holder. I couldn't be sure this was my father, but he had a knack for calling back when we were all sitting down for dinner. So, I chose to answer the call rather then heeding my own rule about not answering the phone during mealtime. "Hello?" I answered brightly expecting to hear my father's voice booming down the ear piece. "Ah, hello." Answered a much younger and friendly voice that I did not recognise.. "Hello." I answered back again, my voice a little hesitant and clipped. "Mrs Wells," said the confident voice, "Is this a good time to have a quick three minute chat?" My children's voices were getting even more boisterous now that my daughter had reluctantly joined the table with her two brothers and father. I gave my husband one of those looks which instantly spoke volumes, complete with rolling eyes. I stared into the mouthpiece for a second deciding what to say. I could sometimes be impulsive. "I'm not Mrs Wells." I replied putting the phone back to my mouth and ear. "My apologies" replied the voice the sound quiet sincere. "Would Mr or Mrs Wells, or the main householder be available? I only need three minutes of their time." I considered handing the phone to my husband, even though he wasn't Mr Wells either. I was very certain the caller was not someone we knew. Instead, I had already come to the conclusion that the caller was telemarketing. Even after ten years of marriage, I still had not changed our telephone account into my married name, but had deliberately left it in my maiden name. This was one of those times when not being proactive, had its benefits. A telemarketer building rapport with her potential client. Though it isn't often considered as a career starter, getting a job as a telemarketer can open many doors to long, lasting and enjoyable careers. Telemarketing is often thought of as a job you can do, when you don’t know what else to do. As a career, telemarketing can be relatively easy to get into, especially if you have a strong and confident phone manner that can build rapport with the caller. It is also a desk bound job where you are expected to make one call after another, sometimes surrounded by a team of other telemarketers in a large Call Centre with hot desks. In some telemarketing jobs, you may also need to have sound computer skills, especially if your phone is connected to a dialler and database. Unfortunately, because of the nature of the work, a telemarketer can be on the receiving end of many rejections. Telemarketing has a high turn-over and a negative reputation in many Western countries. For a young job seeker, finding a stable telemarketing job can be a challenge, but you usually do not need any prior experience to get into a basic entry level, casual or part-time telemarketing positions, just the passion to succeed. 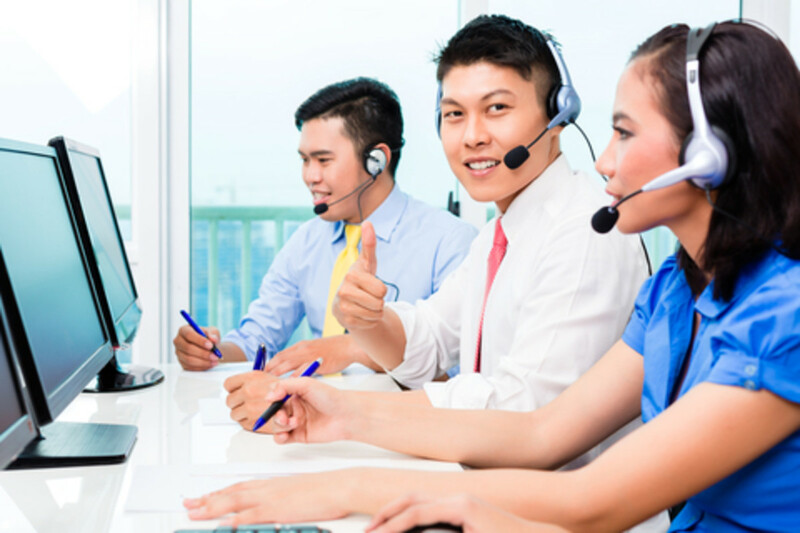 Though previous experience is often preferred, many telemarketing jobs will hire job hunters who show passion and an ability to build rapport over the phone. Telemarketing became my first career choice. While browsing the job vacancies in the local paper, my eyes lingered over an advertisement for a telemarketer. The advertisement was nothing special, a basic few lines of text that read something like “Telemarketers needed” and a phone number. On impulse, I decided to pick up the phone and call the number. The phone number I called, was answered by a man who identified himself as Bill. After identifying myself and the reason for my call, I asked Bill, "What do I need to do to become a telemarketer?" To which he replied, "Exactly what you've just done to call me." I had a face to face interview the next day and I started my first job as a part-time telemarketer the following Monday. the difference between cold calling and suspect calling. If you are considering having a sales career, starting it as a telemarketer will provide you with solid grounding in sales marketing skills. The skills you will gain while telemarketing are transferable to other careers such as, debt collection, recruitment, call centre work, sales and marketing. Many field sales positions require applicants to have prior experience and will often list telemarketing as advantageous in job advertisements. 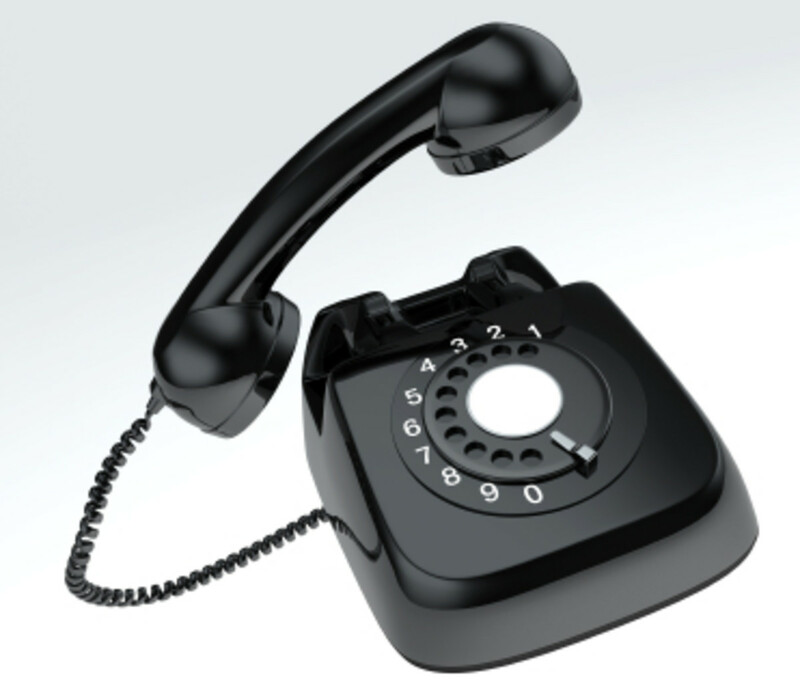 Telemarketing isn't just about gaining valuable sales skills. Some telemarketing is used to broaden the customer experience and gain feedback for a service or product they have been sold. One telemarketing position that I held in the motor vehicle industry, involved calling customers on behalf of their service division. The purpose of the call was to ascertain whether or not they were happy with the service. If not I was to book them back in for a further complimentary service at a convenient time. Call Centre female with free hands, headphone and microphone. Having the right equipment can help towards making successful calls. Do you use telemarketing skills in your job? What Can a Telemarketer Earn? Telemarketers can expect to earn anything from commission only to an annual salary with commission and bonuses. An experienced telemarketer calling large corporate clients, could earn a package exceeding $100,000 in Australia. If you are just entering into a telemarketing career you are more likely to earn a figure closer to the current minimum fair wage in Australia ($15.96 an hour for an working adult as at 1 July 2012), plus incentives like commission. Be ready to be micromanaged. Good telemarketing and sales teams work closely with daily performance figures, systematic sales processes, scripts and daily on the job training. Your success as a telemarketer will depend upon your ability to sell not just the product or service you are promoting over the phone, but also yourself. While there are people who can make a long term career out of telemarketing, people like myself have used telemarketing to further a different career and get a foot inside the door of a reputable company. After two and a half years of telemarketing experience, both business to private consumer and business to business, I eventually came to realise that my passion was not in telemarketing or sales. I was lucky enough to move into a clerical role for the same company where I had been full-time telemarketing. I remained for a further three years before taking my next career move as a Personal Assistant. I still consider telemarketing as the jump start to my business career, and I still use the telemarketing skills that I learnt over fifteen years ago. More recently, I found these skills to be useful in the role of Human Resource Manager, where I also managed recruiting functions. Telemarketing is not always the preferred career of choice. Telemarketing often receives a lot of negative publicity due to badly managed teams that don't know when to give up on a call and move onto the next, or will take forever to get the point, credit card scams, frauds and those unfortunate calls that interrupt your private living, like dinner time. Telemarketing is often associated with unethical behaviours and high pressure tactics but like any job, if you become a telemarketer you will have to choose which organisational behaviours and ethics you want to personally encourage and promote. If you don't like the product you're selling, or you find the company dubious you can always seek a better employer, just like I did on a couple of occasions. According to the Australian Direct Marketing Association, the telemarketing industry provides a vital and successful means of marketing in Australia. Call Centres have become very popular in many cultures that offer flexible working arrangements such as tele-working where an employee can work from home. Choosing a career in telemarketing can be rewarding in itself. It can also lead to many more opportunities and challenging career paths where telemarketing skills are worth their weight in gold. I decided not to let my husband take the phone. Though I would have enjoyed hearing him have some fun, by deluding our caller into thinking he was interested in the call, now just wasn't the time. I looked over at my family seated around the table. "I'm sorry but you've called at the wrong time and there is no one available for you to talk to right now, we're just sitting down for dinner. You are welcome to call back in normal business hours. Thanks." I hung up and pulled the telephone line from the wall. "There, no more interruptions." I declared with my husband's acknowledgement who was fully aware that if the telemarketer did call back on the 'morrow he would be greeted by our answering service. With a warm smile for my family, I resumed my seat at the dining room table. Pick Up the Phone! It Won't Dial Itself! Have you been a telemarketer and has it led you on an different career path? Agreed! It's also a useful skill to have for many other positions if you're looking to change careers later on down the track. Telemarketing can be great career choice, in which we learn a lot of things like client engagement over the phone and many more things. It is very popular and demanding industry nowadays. Hi Vicki, We too get a lot of calls now from overseas, even customer support centres are located OS and its difficult to understand who you are talking to because of differences in English and accents. But, there are some good telemarketing jobs out there, that service local interests. The skills I learnt from telemarketing helped me to gain a much more enjoyable career in business and a sound understanding of the sales process. We often don't realize, but the skills and techniques used in telemarketing can be transferred to other positions and careers. EG Head Hunters for recruitment can use these skills to find new talent . I do not think I could do this job at all. Maybe telemarketing calls are not as annoying in Aussie, but here they are much disliked by most people, because they originate in foreign countries, and often the caller cannot even be understood. Interesting take on it though. I often wonder how they can put up with constant rejection? Nothing personal I guess, and they realize that. You have very interesting Hubs. Good article, thanks for writing.. I do this for a living, made me think more about the situations people are in when I'm calling, and how to adapt quicker and better to keep their attention.